The 2017 Ford Mustang is exactly what drivers throughout the Glenwood Springs region want for all of their driving needs. The new generation still evokes the classic lines and bold statement that older models showed off, and continues the Mustang’s reputation and history as an exquisite vehicle. Although the 2017 Chevrolet Camaro may seem like a comparable automobile, there are several distinctions that emphasize the 2017 Ford Mustang’s excellence. Let’s take a closer look. 2017 Ford Mustang: All of the 2017 Ford Mustang trims are rock stars on the road because of superior engine options. Whether powered by the 300-hp 3.7L V6 with 280 lb. ft. torque, the 310-hp 2.3L EcoBoost® with 320 lb. ft. torque, the 435-hp 5.0L V8 with 400 lb. ft. torque, or the 526-hp 5.2L flat plane crank V8 with 429 lb. ft., this car redefines sports’ vehicles. Six-speed transmission, including a SelectShift® option with paddle shifters, stand-out brake options that include Brembo® calipers, and TrackApps™ that monitor your road prowess, further add to the appeal. 2017 Chevrolet Camaro: There are three engine options for the 2017 Chevrolet Camaro, none of which are overwhelmingly impressive. The 275-hp 2.0L with 295 lb. ft. torque, the 335-hp 3.6L V6 with 284 lb. ft. torque, and the 455-hp 6.2L V8 with 455 lb. ft. torque still don’t have what it takes to be a formidable consideration alongside the Ford Mustang. The StabiliTrak system also lacks the might to create top status in the sports’ car class. 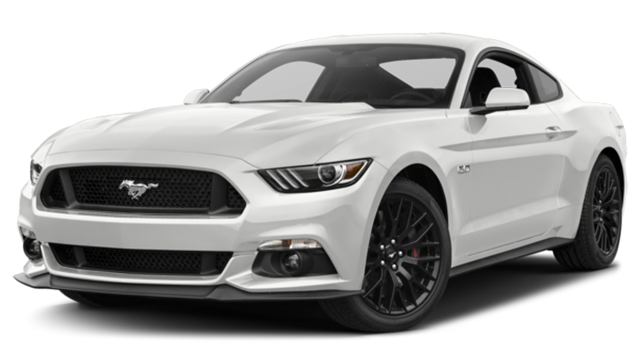 2017 Ford Mustang: From the crisp, clean-cut layout of the center console and dash, to the illuminated glove box, to the superb SYNC® 3 and twelve-speaker Shaker™ stereo system, the 2017 Ford Mustang is all about upscale amenities. Cargo volume is a very nice 13.5 cu. ft., which provides ample room to pack things, and have everyone better enjoy the Miko® suede, Alcantara® leather, or RECARO® cloth seating options. R-Electronics, GT Performance, EcoBoost® Performance, and Pony (featuring the iconic symbol) packages are amongst the additional ways you can augment an already fantastic automobile. 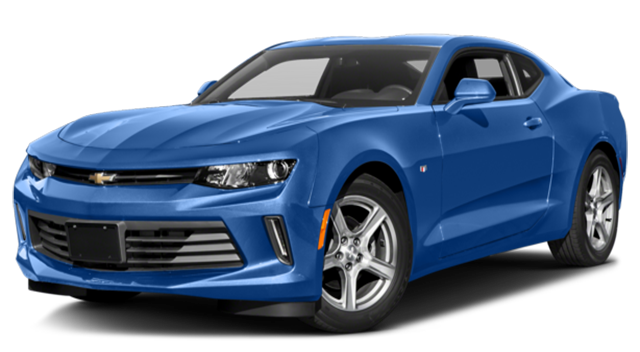 2017 Chevrolet Camaro: Although the 2017 Chevrolet Camaro is also descended from a notable car in automotive history, this new model doesn’t have the same grandeur. Less luxuriant seating materials, a 9.1 cu. ft. cargo volume, and less pockets for storage and devices make a considerable difference. The Technology package’s Bose® stereo, and the R S package’s sport car enhancements aren’t of the same top-quality as what’s found with the Mustang. Stop by Glenwood Springs Ford at 55 Storm King Rd, call us at 970-945-2317, or message us online, to check out the 2017 Ford Mustang. Take it for a test drive, and see and feel how spectacular it truly is. Then customize the one you want to take home, and we’ll work on getting you the keys!